A Wedding Changes Your Life– And Your Insurance! After months of planning, lots of money, hours of decorating, and endless amounts of stress, time, and energy, the fabulous day ends all too quickly! In the midst of all that preparation and planning, it is easy to overlook many changes that can create the need for revision in your insurance policies! Here is a guide through the insurance changes you may be facing after your wedding day! Even before the “I Dos” are said, you want to inquire about insuring that fabulous engagement ring and both wedding bands. It is becoming more common to buy bands in matching sets or have them personalized in some way. The ring sets and personalization help to create a priceless and irreplaceable symbol of your love and marriage! Without listing these items on a Renters policy, Homeowners policy, or a more specialized policy for special jewelry coverage, you may be limited to a very low payout in the event of a loss. Now is a great time to also organize any heirloom jewelry, expensive watches, or other custom pieces which should be listed on a policy. A good Renters policy is necessary to protect the wedding gifts received, treasures in your hope chest, and the tech stuff you cleared out of your bachelor pad! Even if you have a current renters policy, this is a great time to make sure that the limits are high enough to cover both of your belongings. Not only does a Renters policy cover your belongings, it also helps to protect your assets. In the event of a lawsuit in relation to your rented property, this policy could help give you a layer of protection! Homeownership is a grand adventure to embark on! How to insure and protect that home is just one small part of the journey. Just like renters insurance, this policy can provide a layer of protection over your personal belongings and help to defend your personal liability. It will also help to preserve the actual building in which so many memories are made! It’s a great idea to take an inventory of your home and store important receipts and documents in a bank deposit box. Also, talk to your agent about available add-on coverage and discuss your deductible options so that you feel safe and comfortable at the time of a covered claim! Love is a Journey – so take a road trip! Combining your auto insurance policies will often lead to big savings! Most auto policies give a discount for having multiple autos on the policy, marital status, and an additional home or renters policies. 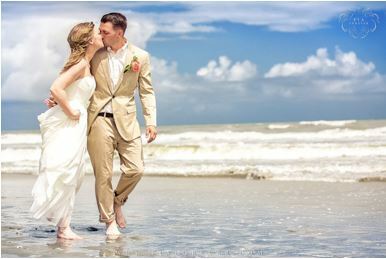 Also, this is a great time to review coverage with the agent to make sure that you are getting the best package of coverage to protect both newlyweds.